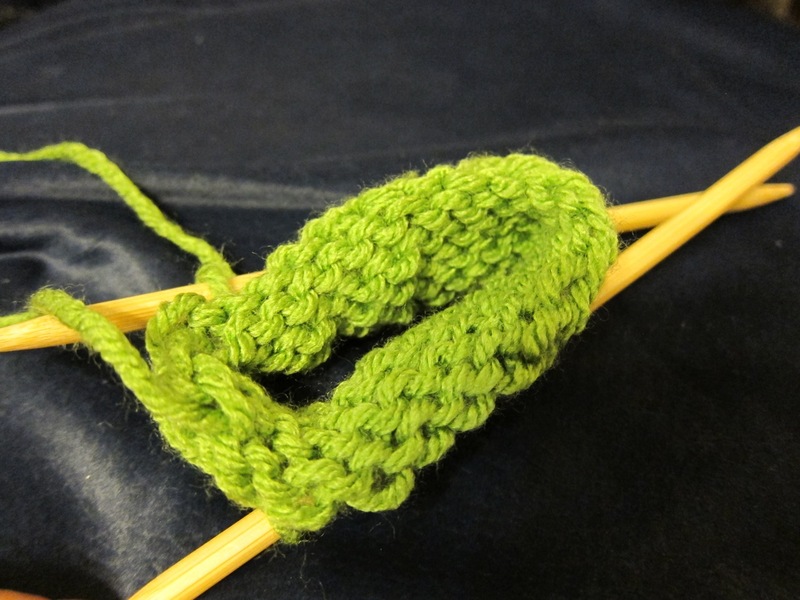 I wanted to knit a baby Yoda hat, but I couldn’t find a pattern that was just right. I found it best to knit a hat and then add the ears on. 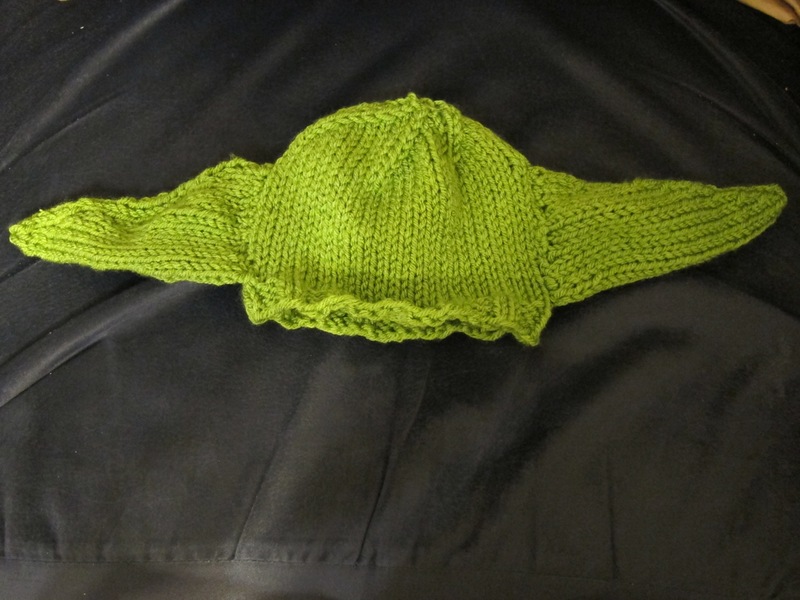 This is based on the You Seek Yoda Hat by N. Lutz, but you don’t leave holes in the hat for the ears. 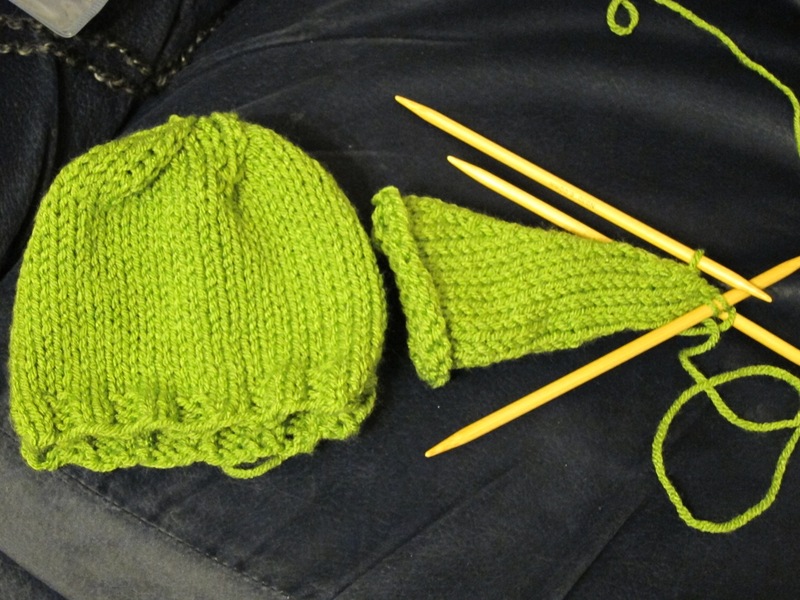 The beauty of doing a complete hat first is that you can always remove the ears when it’s not Halloween time. 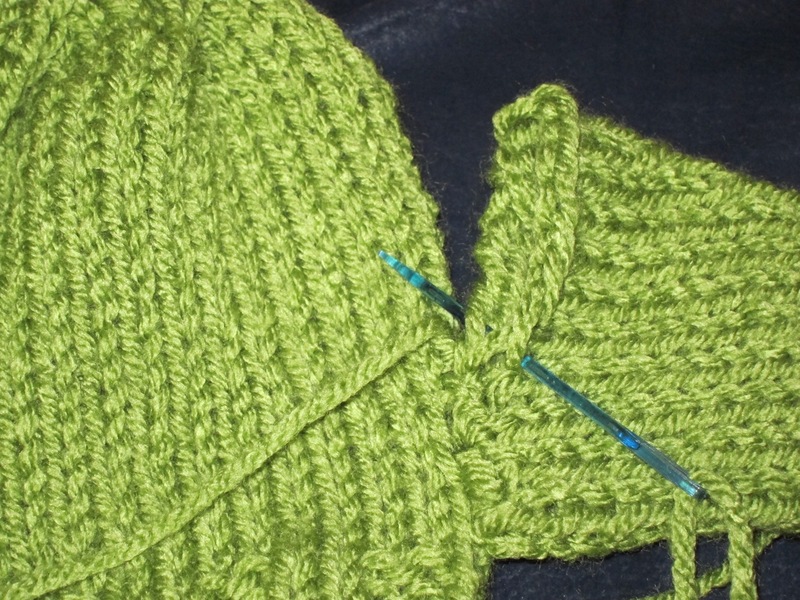 I used Sensations Sincerely Yarn in Grass Green (Weight 4) with US 10 double pointed needles. The hat is a baby size. I know it’s too big for a newborn, but I don’t know what size baby it would fit after that. 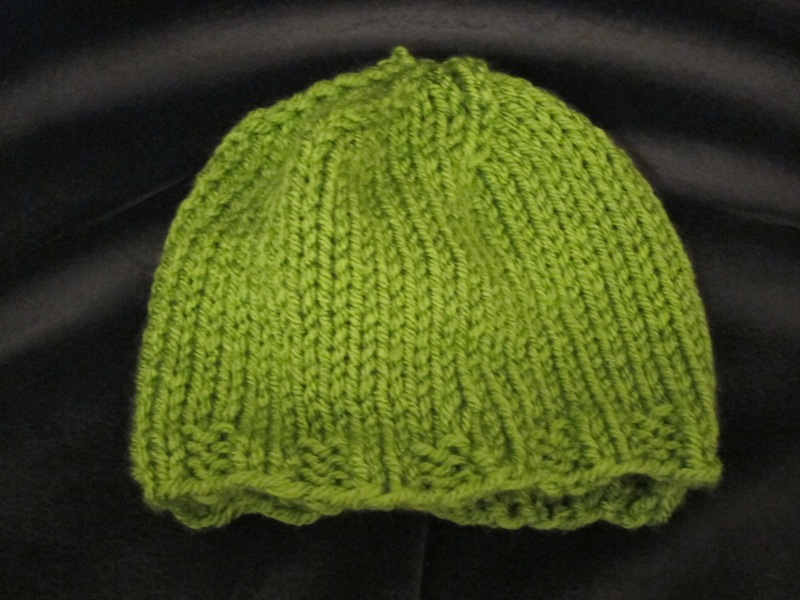 First, knit a baby hat. Then, make the ears. 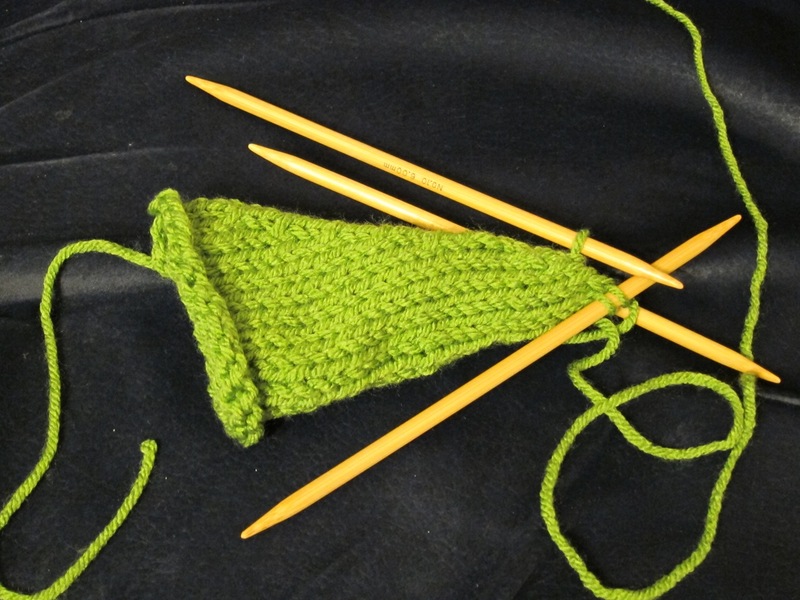 For the ears, you will be working in the round, but on double pointed needles (not circulars). 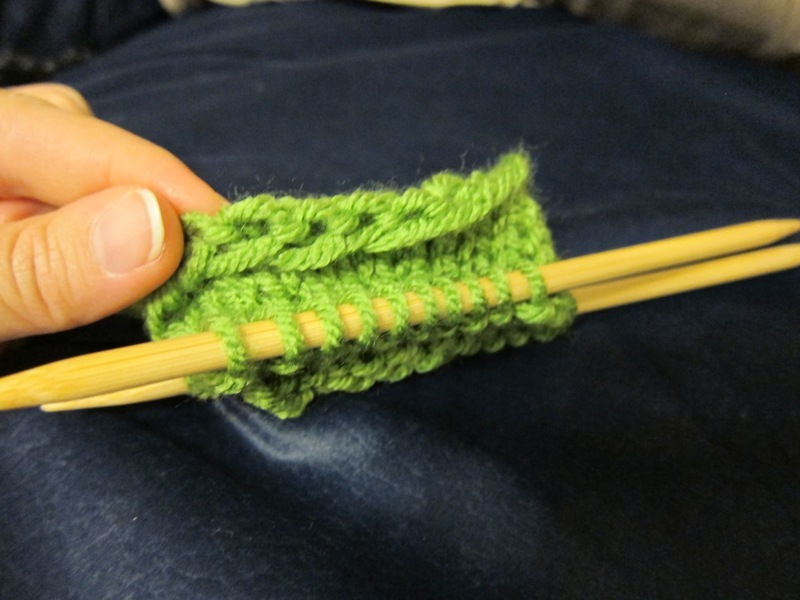 Cut yarn, pull through, and weave in ends. You can stuff the ears with extra yarn if you like. Then, sew them onto the hat.